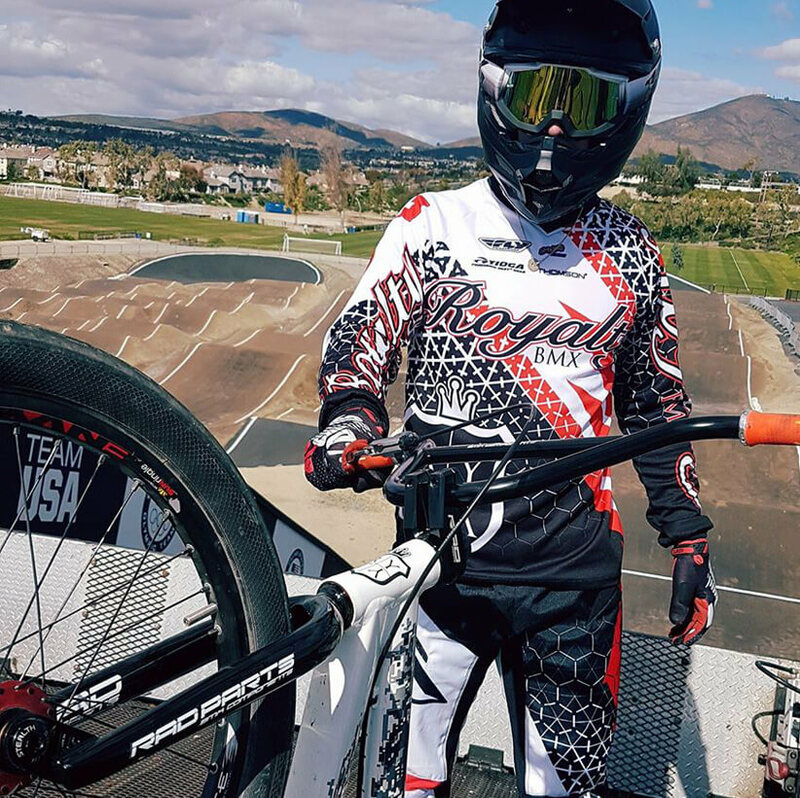 Royalty BMX’s Renaud Blanc has been one of our favourite Elite riders to watch for a long time now, blisteringly fast and sublimely skilled, not only on the track but on trails and in the skatepark too. We tracked Renaud down while he’s out in California for some winter training to find out a little more about the Swiss rider and to get a closer look at that ‘Slingshot’ he rides! 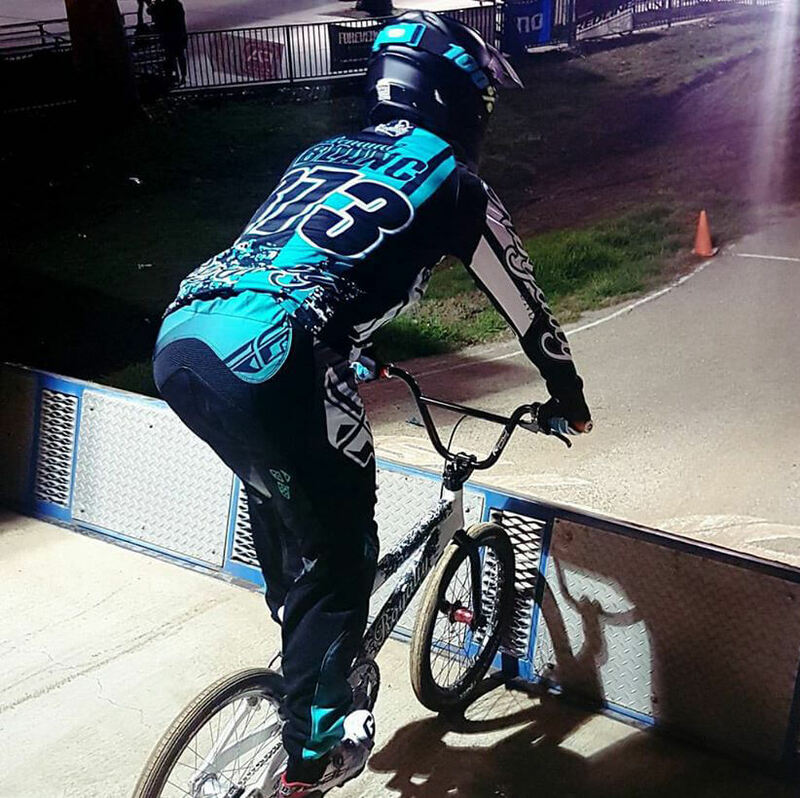 15: We see lots of videos of you riding park as well as having fun on tracks, do you think your time spent in bowls and parks helps your racing? 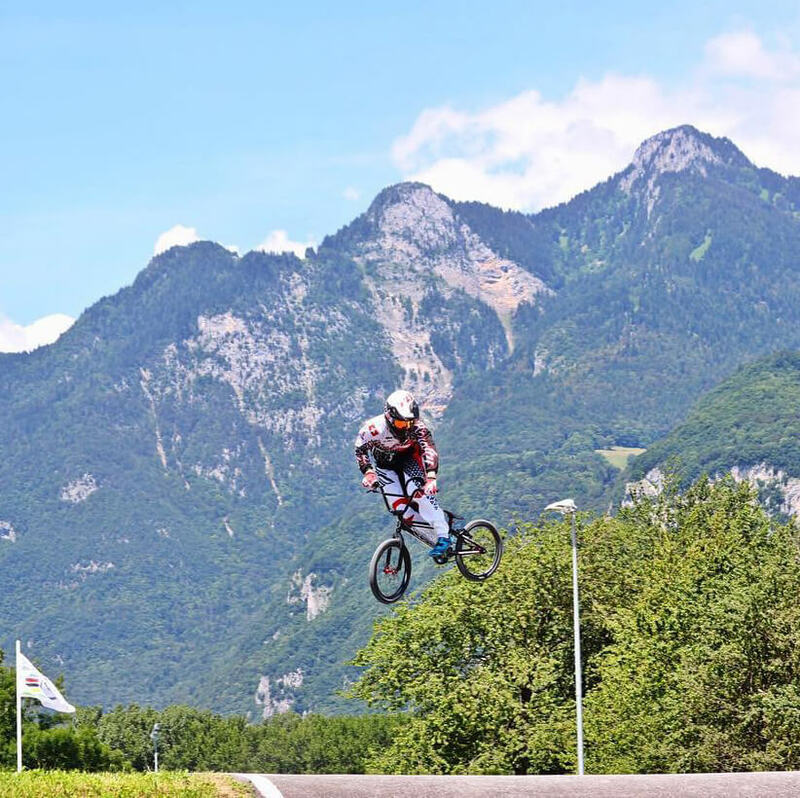 Blanc: I started BMX because of the jumps and the fun, since then I’ve never forgot that part of the sport. I think it helps me a lot to have better bike control and to get used to new tracks faster but I don’t do that as training … I do it because I love it. 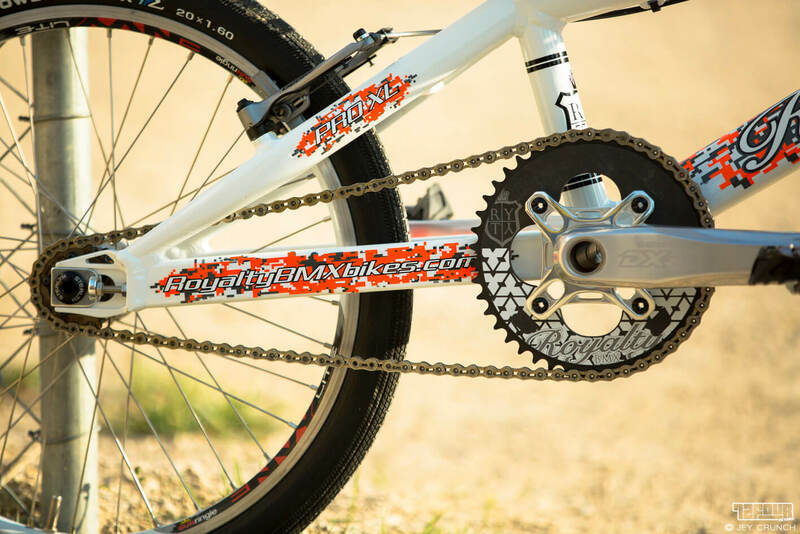 15: What type of tracks do you prefer racing, the big SX variety or the more traditional type? Blanc: I prefer SX tracks, bigger jumps and more adrenaline for sure. 15: We hear plenty of people say Supercross tracks are just too dangerous, the hill is too big, jumps are too steep … what’s your opinion on the direction SX tracks are taking? Blanc: Every track is different and I really don’t think the big hill makes it more dangerous. The track can be dangerous but not the hill. 15: What has been your favourite track to race on so far? Why? Blanc: Redbull R.Evolution in Berlin the first year! Huge jump on the first straight and the full lap was flowing with almost no pedaling. 15: Would you like to see more Red Bull R.Evolution type events? Blanc: Of course! 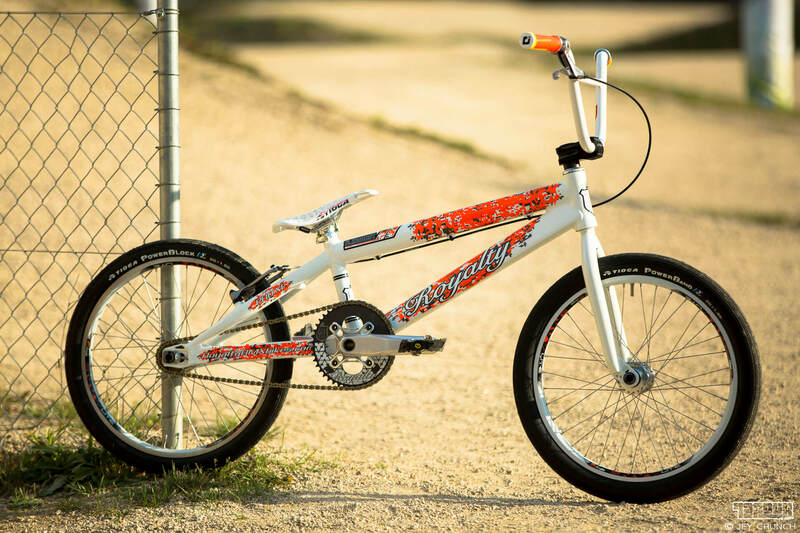 It was a lot of fun for us to ride and the crowd was on fire … I think it was good for BMX racing. 15: Unfortunately you didn’t get to race at Rio but you did go as the alternate rider and got to ride the track and soak it all in, what was the experience like for you? Blanc: It was hard to know I would not race but I accepted it and when I made it to Rio it was all about enjoying the experience and having some fun on the track. I think I learned more from not racing there and it will help me in the future. 15: We assume Tokyo is something you are aiming for … two spots for Switzerland has to be the goal right? Have you guys started to talk about that yet or is it too early? Blanc: We haven’t talked about it yet but we know we can make those two spots for Tokyo so that’s the plan. Blanc: Yvan and I have been friends for a long time, he has been helping me to go the races and stuff way before Royalty. 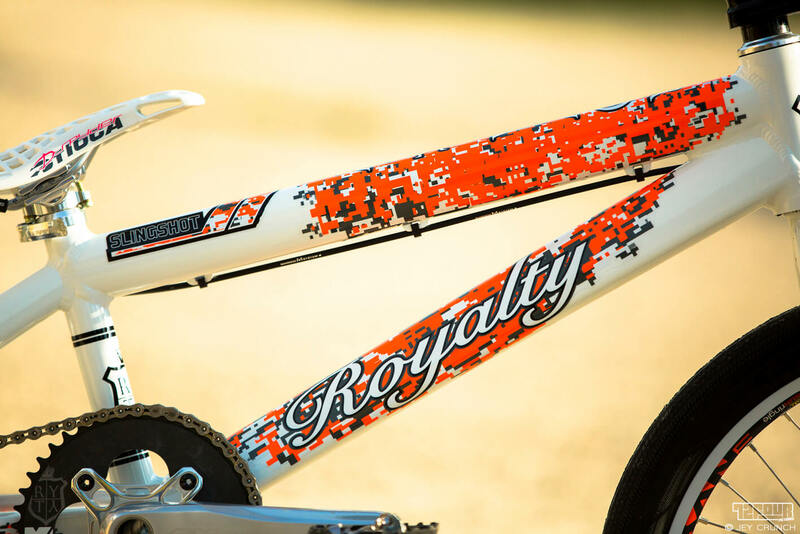 When he create Royalty he ask me to ride on his bikes. I am happy with my deal and the products and also happy to help a friend promote his brand. 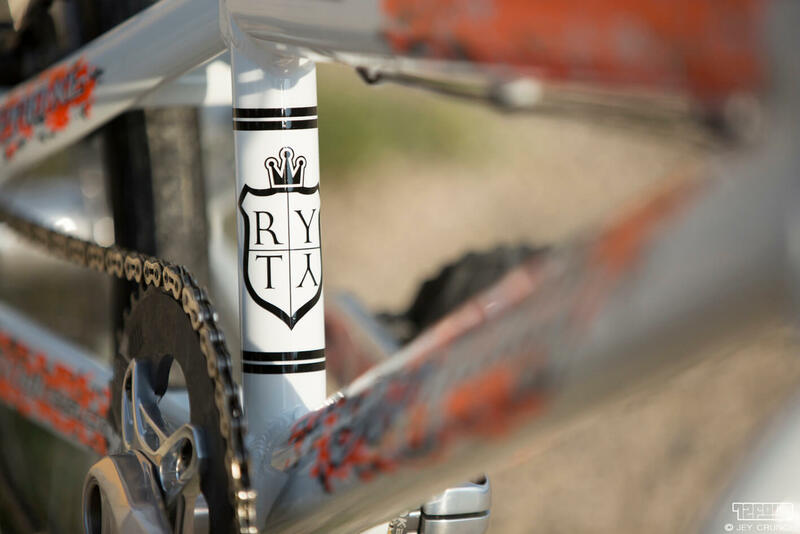 15: We’ve not see the Royalty frame in person, other than you flying by us at a couple of races, but it does look great. What’s new about the 2017 model? Blanc: It looks good … the ‘slingshot‘ frame came out in 2016. The 2017 is the same geometry with new graphics but some change are coming for 2018! 15: Do you have any input into the development of the frames? Blanc: This is also what I like with Royalty, I feel involved with the development, trying prototypes and stuff. In March I will be testing the 2018 prototype frame. 15: You’re avoiding the snow at home while out in California for some winter training, is that an annual thing? What are you getting up to state side, will you fit in any races during this trip? Blanc: Winter is pretty cold in Switzerland and we had a lot of snow in January which was good for me, I could focus more on my physical preparation. I’m spending February in California with Joris enjoying the good weather and training with some fast guys. I’m going to race Phoenix and Oldsmar and then I’m flying back home for the upcoming season. 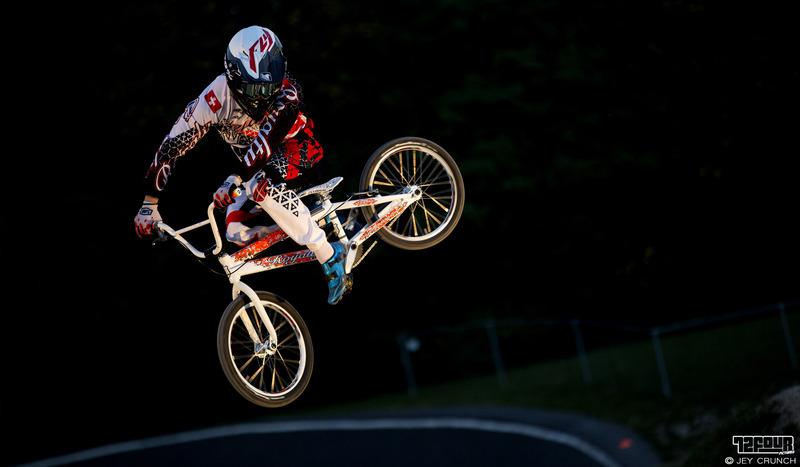 15: Would you consider moving to the US to ride the full USA BMX national series? Blanc: It’s been a dream but it costs a lot of money to travel around the country and with the prize money being not what it used to be …. so I don’t know. 15: You have been based out of the UCI training facility for a while now, are you back there again this year? What’s life like there, would you recommend it? The track looks impressive … especially with that back drop! Blanc: Yes I’m grateful to have been able to stay there for two years, I learned a lot. The track is one of the best and as you can see the backdrop is insane! For sure the training center is a good school specially to ride with other riders and train with Thomas Allier, I could see everyone improving a lot there. I’m living back home in Geneva now. 15: You had some impressive results on the UCI tour last year, what’s the plan for the 2017 season? Where will we see you on the gate? Blanc: 2016 has been crazy for me and the plan is to keep going for 2017. I’m going to race World Cups, some of the European Cups, World Championship and the Swiss Cups. I really enjoy racing so I’m going to race as much as possible, racing is the best training!